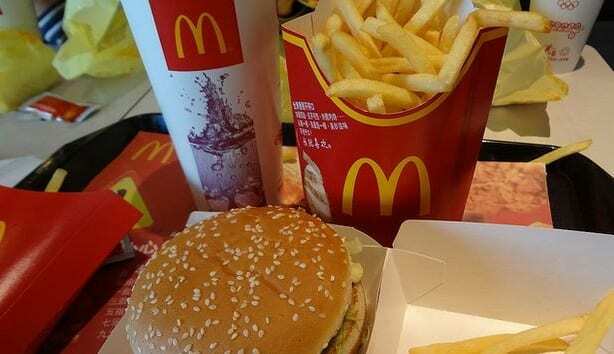 More illnesses have been reported by people who have eaten salads at McDonald’s since mid-May 2018. At last count, 395 people have become ill from cyclospora infection caused by the romaine lettuce in the salad. The Food and Drug Administration (FDA) has linked the source of the contamination to Fresh Express, which is also responsible for cyclospora discovered in pre-made salads and wraps distributed by Caito Foods LLC of Indianapolis, IN. The McDonald’s salad-related illnesses have been reported by consumers in Iowa, Illinois, Indiana, Kentucky, Michigan, Minnesota, Missouri, Nebraska, Ohio, South Dakota, Wisconsin, Florida, Connecticut, Tennessee, and Virginia. The Connecticut, Tennessee, and Virginia case-patients purchased salads while traveling in Illinois; the Florida case-patient purchased a salad while traveling in Kentucky. Sixteen people have been hospitalized because of the severity of their illness. On July 26, 2018, the FDA completed a final analysis of an unused package of Fresh Express salad mix containing romaine lettuce and carrots, which had been distributed to McDonald’s. The analysis confirmed the presence of cyclospora in that sample. The FDA is continuing to investigate the source of the contamination, including reviewing distribution and supplier information for romaine lettuce and carrots. The lettuce distributed to McDonald’s and to Caito Foods by Fresh Express is not packaged for sale directly to consumers. Carrots used in the salad mix were only distributed to McDonald’s restaurants. Even though the expiration date for these vegetables has passed, the FDA instructed Fresh Express to determine whether potentially contaminated product may still be on the market. Ron Simon is helping a number of food poisoning victims with lawsuits against McDonald’s. For more information about your legal options and about cyclospora lawsuits, please contact the Cyclospora Lawyers at 1-888-335-4901.